I hope you're having a fabulous summer so far! In celebration of this wonderful season and its endless bounties, I'm offering all of my recipe books at very special prices! 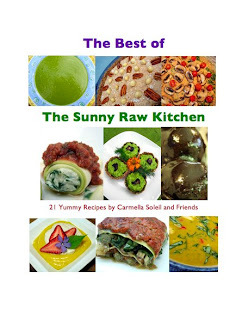 You can now order The Best of The Sunny Raw Kitchen, The Best of Raw Freedom Community, Delightfully Raw and Deliciously Raw at savings of 20 to 33%! Unlike my two previous recipe books, Delightfully Raw and Deliciously Raw are not only available in electronic format but also as hard copies. There truly is something different and special about holding an actual book in your hands. They are both so colorful, filled with gorgeous mouthwatering pictures and detailed recipes. (Find out more about Delightfully Raw here! Find out more about Deliciously Raw here! IMPORTANT: Shipping costs for hard copies only apply to North America. 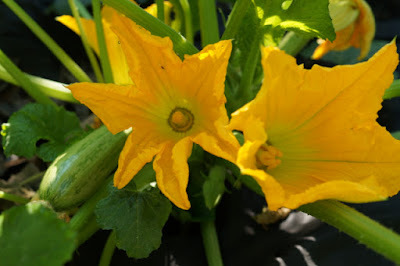 If you would like to order Deliciously Raw or Delightfully Raw, please send me an email with your shipping address and I will get back to you with the postage costs. Order a hard copy of my Deliciously Raw book and get 33% off! Click on the button below to take advantage of this limited time offer! Order a hard copy of my Delightfully Raw book and get 20% off! Remember that you can still take advantage of our Delightfully Raw Combo. If you would like to get uncooking right away while you wait for your copy of Delightfully Raw to arrive in the mail, you can immediately receive it in electronic format for an extra $5.00. You will receive the download link for the Delightfully Raw ebook in your inbox as soon as your payment clears. To order the Delightfully Raw Combo just click on the link below! I'm also offering all of my recipe books in electronic format at 25% to 33% off! 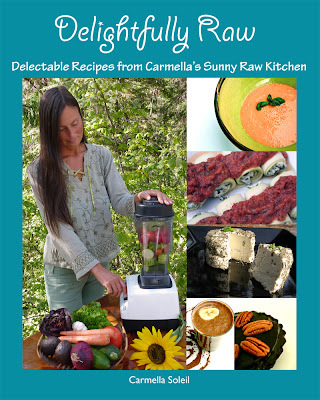 Order a copy of my Deliciously Raw ebook and get 33% off! Pay only $8.00 instead of the regular $11.99 and save $3.99! To order Deliciously Raw in ebook format, click on the link below! Order a copy of my Delightfully Raw ebook and get 25% off! Pay only $14.99 instead of the regular $19.98 and save $5.00! To order Delightfully Raw in ebook format, click on the link below! Order a copy of my Best of Raw Freedom Community ebook and get 25% off! Pay only $9.75 instead of the regular S12.99 and save $3.25! 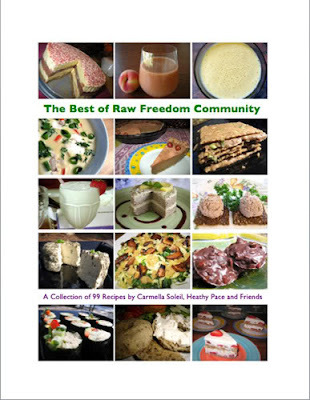 To order The Best of Raw Freedom Community in ebook format, click on the link below! 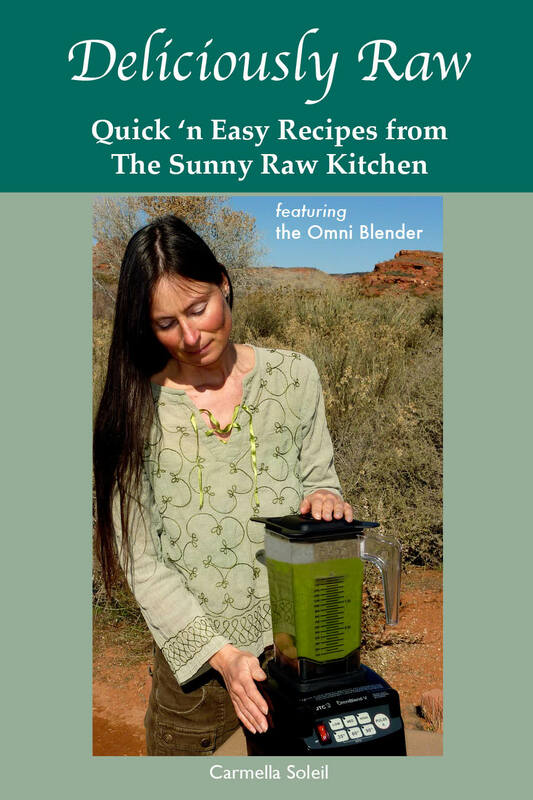 Order a copy of my Best of The Sunny Raw Kitchen ebook and get 25% off! Pay only $8.25 instead of the regular S10.99 and save $2.74! 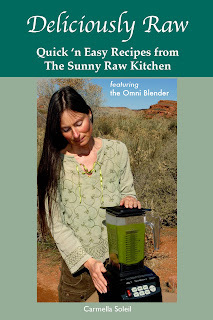 To order The Best of The Sunny Raw Kitchen in ebook format, click on the link below! Pay only $16.50 instead of the regular $22.00 and save $5.50! You can also purchase my first three books, The Best Of The Sunny Raw Kitchen, The Best of Raw Freedom Community and Delightfully Raw in a single package. Pay only $26.99 instead of the regular $35.99 and save $9.00! Purchase all four of my recipe books with just one click! Pay only $31.50 instead of the regular $41.99 and save $10.50! And last but not least, you can also purchase Don's Ready or Not - Freegold at a discount. In this book he talks about how the global economy is destined to collapse into a hyper-inflationary depression and how best to prepare yourself for this. Pay only $7.50 instead of the regular $9.99 and save $2.50! To order Don's Ready or Not - Freegold ebook, click on the link below! Wishing you all a healthy and blessed summer!